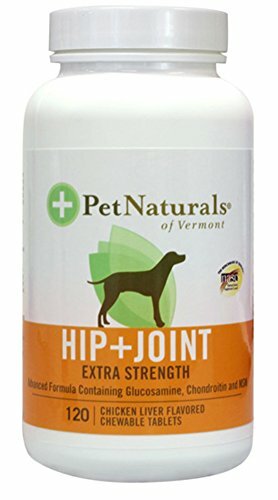 Advanced Formula Containing Glucosamine, Chondroitin and MSM. NASC-The Benchmark of Quality . Sealed For Your Protection. 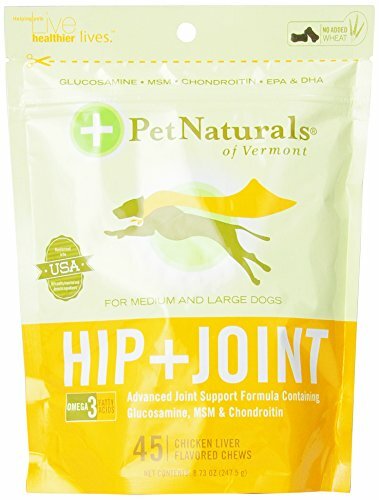 Hip & Joint For Dogs (Containing Glucosamine, Chondroitin and MSM) HIP+JOINT represents a synergistic combination of joint support factors Glucosamine, Methylsulfonylmethane (MSM), Chondroitin Sulfate, Manganese and Ascorbic Acid (Vitamin C). 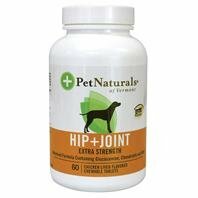 These naturally occurring substances provide the building blocks for supporting healthy joint and connective tissue functions. The results combine to support mobility, exercise tolerance and comfort. 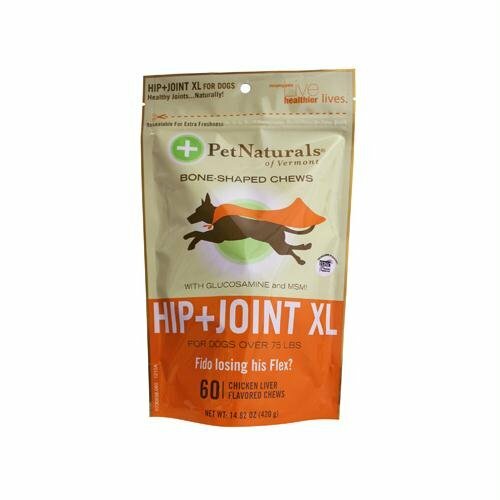 Available in a chicken-liver flavored, chewable tablet that dogs love. 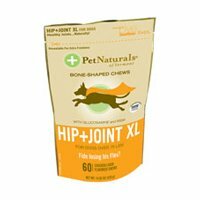 Active Ingredients Per Chewable Tablet: Glucosamine HCI . . . . . . . . . 500 mg Methylsulfonylmethane (MSM) . 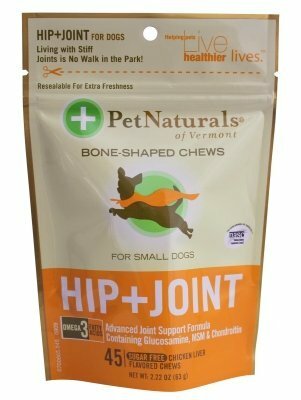 . . 200 mg Chondroitin Sulfate . . . . . . . 200 mg Ascorbic Acid (Vitamin C) . . . . .50 mg Manganese (as Manganese Proteinate) . 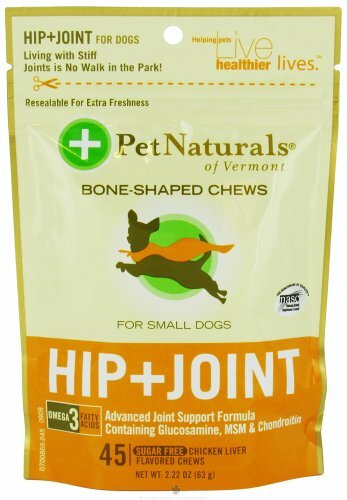 . . .2.5 mg Inactive Ingredients: allspice, brewers yeast, chicken liver flavor, nutmeg, silicon dioxide, stearic acid. Directions For Use: Up to 25 lbs: Give 1/2 tablet daily. 25 - 75 lbs: Give 1 or 2 tablets daily. Over 75 lbs: Give 2 or 3 tablets daily. When giving more than one tablet, divide between AM and PM. For quicker results, double above recommended number of tablets daily, for the first 6 weeks.